Michael Salkovitch, DDS, Inc. has provided family-friendly services for patients of all ages since 1974. The team of caring dental professionals at our dental office are happy to help all members of your family, young and old, achieve their best oral health. Dr. Salkovitch and staff serve Solon, Cuyhoga County, and Geauga County. As oral hygiene habits are developed during early years, Dr. Salkovitch recommends that children come into the office for an introductory exam as soon as their teeth erupt. A first visit is an important event, during which your child becomes acquainted with our office as well as our staff. We want them to know that our Solon dental office can be a fun place to go and how proper dental care should fit into their lives. During the introductory visit, parents can walk around the office with their children, allowing them to ask our staff questions. We provide a relaxed and welcoming environment so that you and your child are comfortable at all times. We even offer stickers and small toys for children who have a good visit. 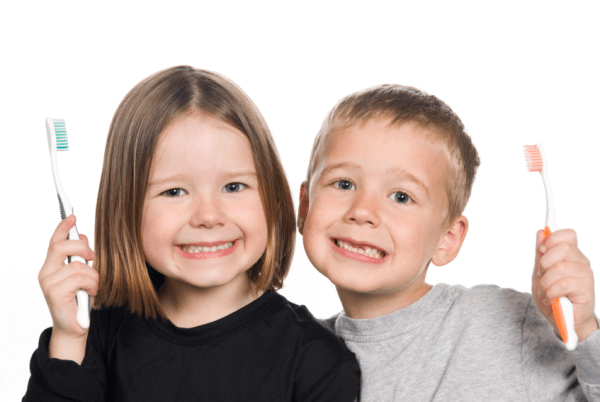 While most parents understand the basics of caring for their children's teeth, our Solon family dentistry office shows dental education videos that provide tips and new information regarding all facets of children’s dentistry. Helping parents develop a broader understanding of children’s unique oral health concerns fosters a healthier environment at home for protecting patients’ smiles. In addition to our educational videos which provide information on the importance of brushing, flossing, and rinsing with mouthwash, we also offer and recommend fluoride treatments and sealants to further protect your child’s teeth from decay. Dental health and whole body health are uniquely connected, and a bad diet can negatively affect both. Due to the availability of unhealthy dietary choices, tooth decay and gum disease have become more prevalent for children and adults, with their overall health at increased risk because of this. A diet high in sugar and acidic foods and beverages can erode tooth enamel, encourage plaque and tartar buildup, and lead to tooth decay and gum disease. Our Solon family dental office takes care to teach patients about the importance of a wholesome diet for the improved health of their teeth and gums, as well as their bodies as a whole. Schedule a Family Dental Appointment Today! Michael Salkovitch, DDS, Inc. proudly serves Solon, Cuyhoga County, and Geauga County. Call Dr. Michael Salkovitch, your local Solon family dentist, to schedule your child's appointment today and see why so many make the short drive to receive our quality family dentistry services!